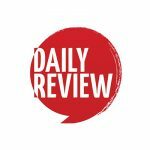 Sam Strong to leave Queensland Theatre | Daily Review: Film, stage and music reviews, interviews and more. In a surprise announcement, Queensland Theatre (QT) artistic director Sam Strong is returning home to Melbourne after just over three years at the helm of the Brisbane company. In a statement Strong said: ““I’m not going on to another company. Leadership for me at this point in my life means being more available to my family. I’m committed to supporting my wife Katherine Slattery who is taking up a position with Film Victoria. Katherine has always enabled my ambitions, and I’m looking forward to a period of supporting hers.” He will leave the company in November after announcing the 2020 QT season and will return to direct one its productions next year. Strong is a former associate artistic director of Melbourne Theatre Company and artistic director of Sydney’s Griffin Theatre. When he moved to Brisbane from MTC in late 2015, Strong said he wanted to expand the reach of the company and open up greater conversations between QTC and other companies and artists around the country. He also said he wanted to lure revered ex-Queenslander artists back to the state for new projects. One of his first projects was rebranding the company from Queensland Theatre Company (QTC) to Queensland Theatre ((QT) as part of an effort to include the company’s activities in the “national conversation”. To that end, he moved quickly to work on gender parity and First Nation stories as well as making a commitment to new Australian work that has outstripped the four other state theatre companies in NSW, WA, SA and Victoria. “Over the past four years Sam Strong as has led the company to unprecedented success – a new name, a new theatre, all-time high audiences, 20-year subscriber highs, an inaugural principal partnership with RACQ and we have celebrated our highest selling new Australian play ever (Nearer the Gods, which Strong directed). In addition, we have taken the work of Queensland artists around Australia and the world like never before,” said the chairperson of QT, Elizabeth Jameson. Strong said: “Even more than the audience reach, I’m proud that we’ve achieved our vision of leading from Queensland. As well as having the fastest subscriber and audience growth of any company in Australia, we have honoured our commitment to gender parity of writers and directors for each of the three seasons I have programmed. Those three seasons have also included six works created by First Nations writers and/or directors. “Finally, Queensland Theatre has become the national home of new stories. In 2019 we will stage more world premieres than any other state theatre company. Queensland arts and culture is genuinely in the middle of a renaissance and I’m proud to have been a part of it” he said.